Going to be putting up some Aberlour reviews today, starting with the 10 year old. Nose: Sherry influense evident, spice and tannins, lots of fruit- apples and raisins, quite malty too, fruity sweetness, vanilla, figs, fudgey chocolate-y-ness. Taste: Bit of rough heat, spicy with tannins, spicy malt, bit of Christmas cake, quite rich. Tones down with some time- Less heat and more fudge. Finish: Short length. Green wood sap. A bit artificial but you can get good deals on this (£18). Thanks to my mate Tom for this sample. candy, apple sours, pear drops, some nuttiness and spice. Taste: Creamy arrival, lots of fruitiness developing- intense apple and pear hit with spice. More drying and malty towards the finish. Finish: Short length. Milk chocolate and coffee. Only just a tad better than the 10yo. Another sample from Tom now, with the 16yo. Nose: A tonne of green apple and menthol, apple sours, pear drops, some artificial citrus. Very sweet but it's very artificial and covers everything else. Taste: Very sweet again, green apple, menthol, green apple sours, a little oak coming through. Finish: Short/Medium length. Creamy oak and more green apple. This next one was my first experience of cask strength whisky and I loved it. You get so much more for your money. Plus, I'm a big fan of power in a whisky and this really opened my eyes to that. 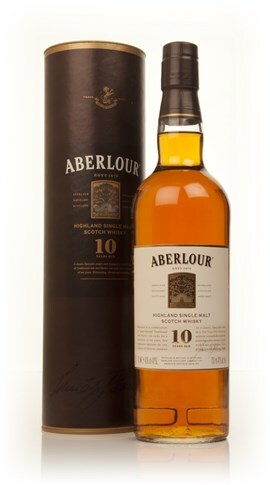 ABERLOUR POWER!! Nose: Sweet, intense sherry and fruit, dark oranges, chocolate, bit of mint, woody oak, liquorice, boiled sweets, spices- ginger, dried fruit- raisins, cream and nuts. Water: More nuts, more fruit, more light sherry. Still intense but gets more delicious. Classic sherry fruit- Christmas cake, raisin, plum, juicy orange, blood orange, grapefruit, milk chocolate and a bit of caramel. With more water you get even more Christmas cake and fruit. 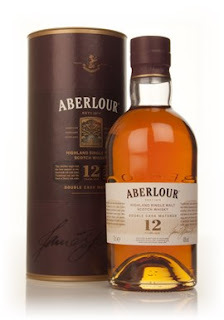 Taste: Alcohol nip, dark berries, intense cherry, dried fruit, spices- cinnamon, ginger, dark chocolate, creamy and oily with deep sherried oak. Big and mouth-filling. Water: Caramel, nuts and fruit. Still spicy with chocolate oranges, lots of cream, more oak, dried fruit- raisins, sultanas, fig and tannins. Finish: Medium length. Spicy with oak. Sometimes quite short and chalky. 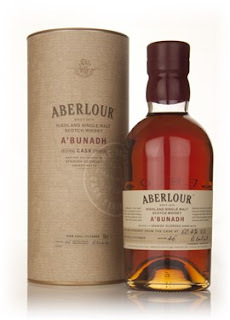 A great sherried cask strength whisky for a great price. A less good batch though I think, from what others have said.